The EUR/USD currency pair continues consolidating inside a narrow trading range; there is still a slight possibility that the price may be corrected towards the level of 1.3123 and then continue growing up to reach the target at 1.3280. 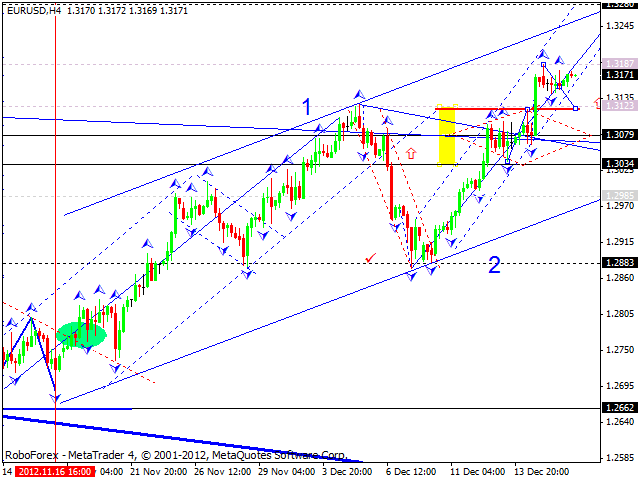 If the pair breaks the level of 1.3187, the price may reach the above‑mentioned target immediately. 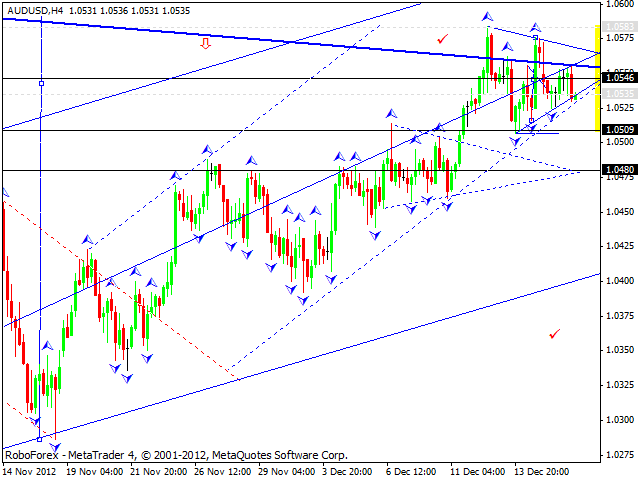 The GBP/USD currency pair continues an ascending movement with the target at 1.6225. 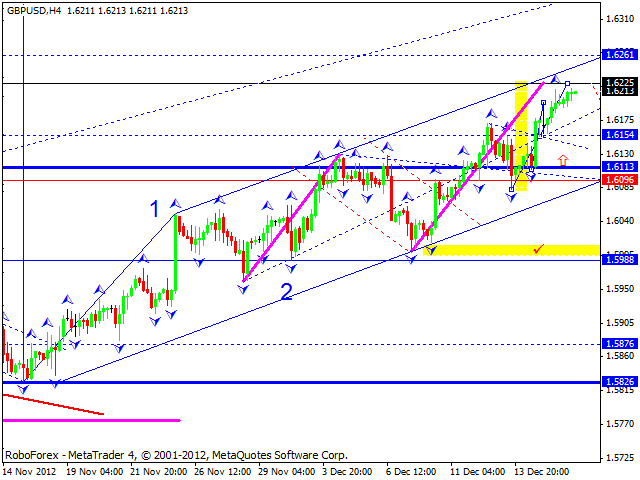 After reaching this target, the price, in my opinion, may start a correction with the target at the level of 1.6115. 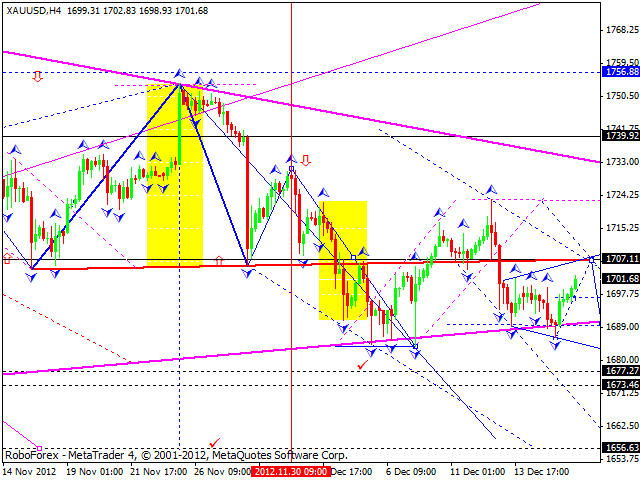 After that the pair may continue growing up towards the main target of this third wave at the level of 1.6260. The USD/CHF currency pair continues consolidating inside a narrow trading range; I assume that the price may test the level of 0.9210 from below. I think today the price may start move downwards to reach the level of 0.9100. 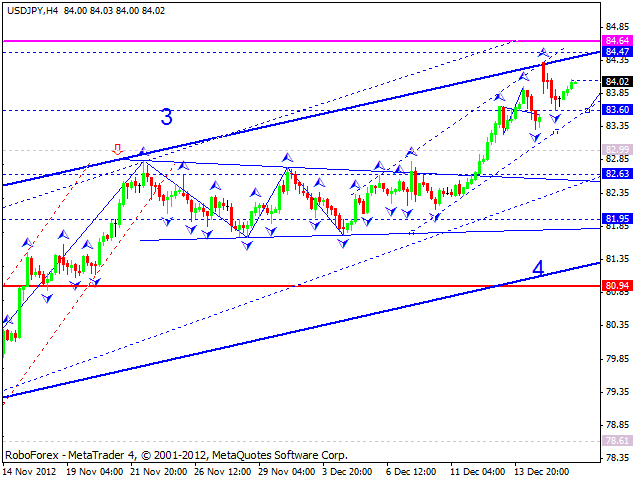 The USD/JPY currency pair completed a descending structure and started forming an ascending one. The target is at 84.50. In the future, in my opinion, the price may start forming a divergent triangle pattern. 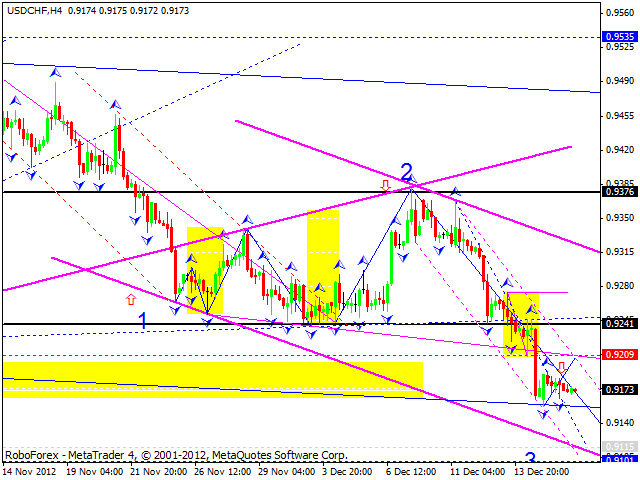 Australian Dollar continues consolidating, narrowing the channel step by step. In my opinion, today the pair may break the channel, reach new tops, and then start forming a descending structure. The minimum – to test the level of 1.0550 from above; the maximum – to reach a new minimum of this consolidation pattern. After that the pair may continue growing up towards the target at 1.0800. Gold tested the level of 1686 one more time. Today, in my opinion, the instrument may return to the level of 1707 to test it from below and start forming a new descending structure to break the level of 1686. The next target may be at 1675.